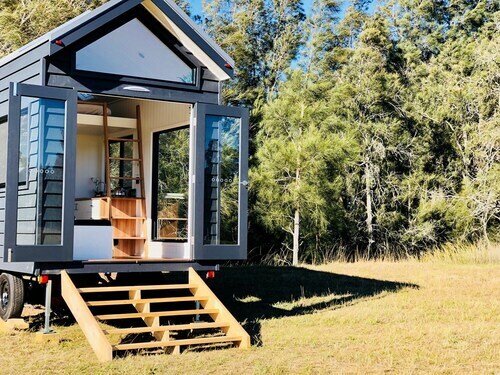 Pokolbin Cabin Stays: Epic Deals on Mountain & Wood Cabins! Situated in Pokolbin, this golf cabin is within 1 mi (2 km) of Tamburlaine Organic Wines and Cypress Lakes Golf and Country Club. Brokenwood Wines and Tyrrell's Wines are also within 2 mi (3 km). Situated in Pokolbin, this cabin is 1.2 mi (2 km) from Hungerford Hill and 2.9 mi (4.7 km) from Roche Estate. PepperTree Wines and Tower Estate are also within 3 mi (5 km). 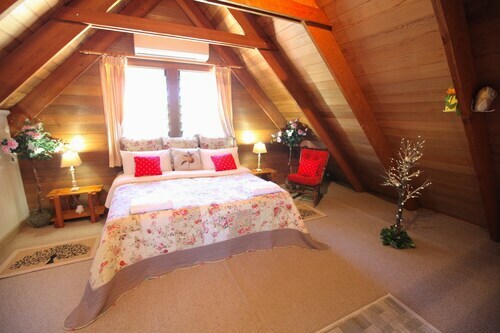 Situated in Pokolbin, this cabin is within 3 mi (5 km) of Bimbadgen Estate, Roche Estate, and Hunter Valley Gardens. Moorebank Vineyard and Scarborough Wine Co are also within 2 mi (3 km). Situated in Pokolbin, this cabin is within 3 mi (5 km) of Keith Tulloch Wine, Thomas Wines, and Mistletoe Wines. Tintilla Estate Vineyard and Olive Grove and Piggs Peake Winery are also within 3 mi (5 km). What?! It’s only Wednesday!? You’ve been counting the days for far too long. Every minute seems like an hour. The clock’s hands are moving at a snail’s pace. Are they even moving? Has time stopped altogether? It’s clear you have a serious case of cabin fever. The only known cure is to holiday in a Pokolbin cabin rental and get away from your world for a bit. Seriously, a cabin holiday is exactly what you need. No matter what you intend to do in Pokolbin, a cabin is the perfect home base for all your upcoming adventures. Pick one close to all the fun or on the outskirts of town—just getting there is half the work of holidaying! If you need a little help, check out the variety of cabins we have to choose from. And forget all your mental images of log cabins—there will be no real roughing it on your holiday. These cabin rentals have all the amenities you’ve come to expect on a great getaway. You’ll find comfy beds, well-stocked kitchens, and maybe even a roaring fireplace that’ll make a perfect backdrop for some great photos. Want to decompress even more? Rent a Pokolbin with a hot tub and take in those postcard-worthy views while relaxing to the fullest. Here at Wotif, we’re all for mixing it up on your holiday. Sometimes you just need a quiet place away from it all, and we are here to help. We have a variety of Pokolbin cabin rentals to pick from. And with great prices, you’re sure to find an awesome cabin deal to cure your fever. 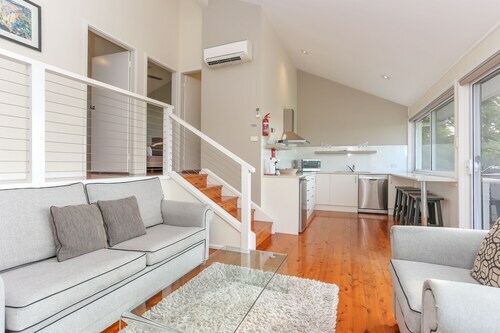 Situated in a rural location, this romantic apartment building is within a 15-minute walk of Brokenwood Wines, Cypress Lakes Golf and Country Club, and Tempus Two Winery. 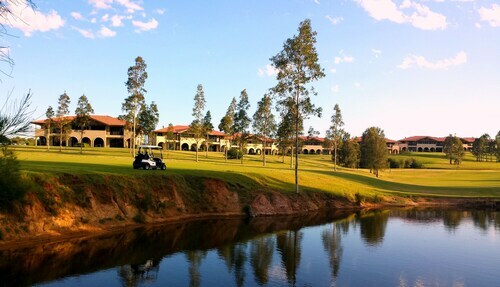 Roche Estate and Hunter Valley Gardens are also within 2 mi (3 km). 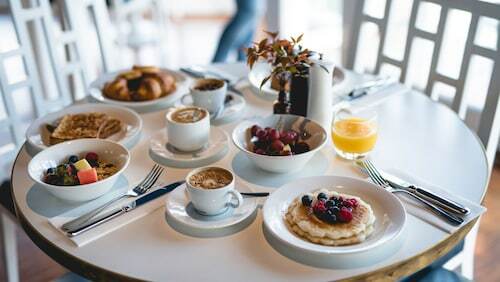 This family-friendly Pokolbin hotel is located in a rural location, within 3 mi (5 km) of Hanging Tree Wines, Saddlers Creek Wines and Bimbadgen Estate. Usher Tinkler Wines and Ben Ean Cellar are also within 3 mi (5 km). Situated in the historical district, this luxury resort is within 3 mi (5 km) of Bimbadgen Estate, Lucy's Run, and Moorebank Vineyard. Roche Estate and Hunter Valley Gardens are also within 6 mi (10 km). 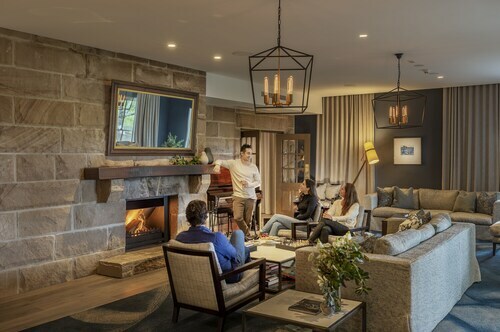 Situated in Pokolbin, this luxury hotel is 1.3 mi (2.1 km) from Hunter Valley Gardens and 1.3 mi (2.2 km) from Roche Estate. Tempus Two Winery and Brokenwood Wines are also within 2 mi (3 km).